PerryPie's Nail Polish Adventures: OPI Yoga-ta Get this Blue! Arrrrr matey. Yeah, I don't know either. Anyhow, this is Kimber's pick. Yoga-ta Get this Blue! 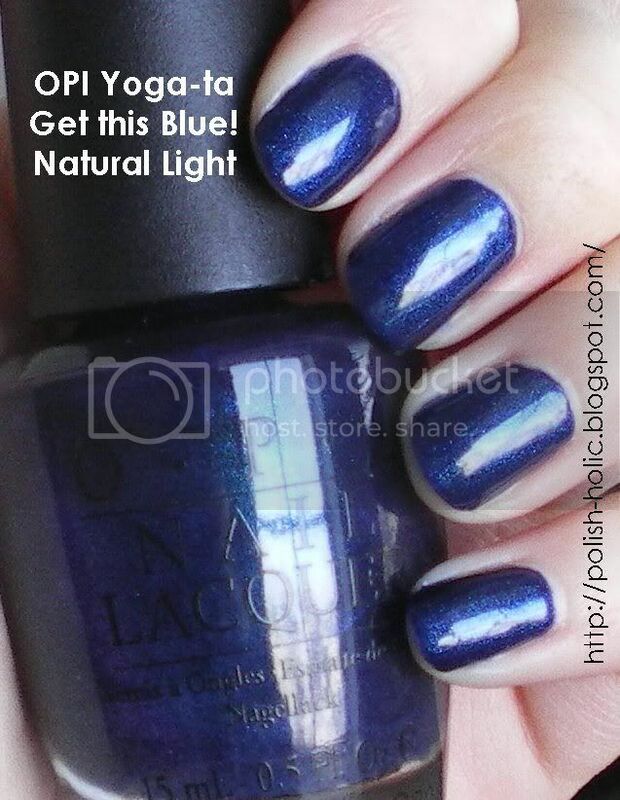 is a deep blue polish with blue shimmer. When it comes to dark blues, this is the one I go for. It's blue, blue and blue. This is two coats. It's so heavily pigmented that it's opaque in one but I put on two because it's a bit lacklustre at one. The polish is slightly thick, which is expected considering how pigmented it is, but it's not thick enough that it makes it hard to apply. For anyone who likes the colour blue, I suggest you go out and get this. Freaking gorgeous colour. And that is all from me today, I'm gonna go and thaw out my fingers now, holy shat, it's cold. Now this is more like it! A bit of proper colour. I would wear this and I'd want to skittle it with some lighter blues. But I'm not buying OPI again in a hurry. How I hate the brushes! Except for Merry Midnight. That I'd buy.